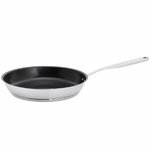 Fiskars All Steel Plus 28 cm frying pan is great for frying meat or vegetables for a larger group of diners. 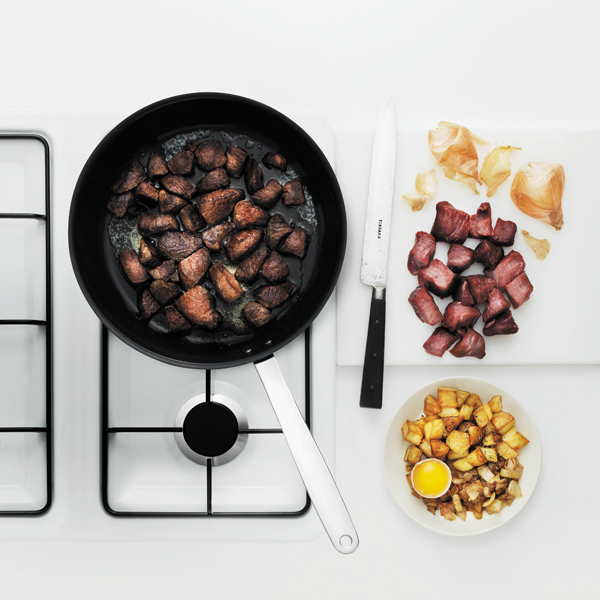 The series has a 5-layer base which is optimized for induction cookers, but suits other hobs as well. All Steel is a series of stainless steel cookware designed by Pentagon Design. The ceramic Ceratec coating conducts heat efficiently and guarantees excellent browning. Every All Steel pan, dish and casserole is dishwasher proof and oven proof up to 240 °C. The high-quality series will satisfy even the most demanding domestic chef. All Steel products are manufactured in Finland.